PhD (University of Goettingen, Germany), MSc in Management (Uni SJP), B.B.Mgt (HR) Special (Uni Kelaniya), CMA, Advanced Diploma in Accounting and Business (ACCA, UK). Tuesday, Friday 4 p.m-5 p.m.
H. Menaka Nishanthi is a Senior Lecturer attached to the Department of Human Resource Management Faculty of Commerce and Management Studies University of Kelaniya. She graduated from the same department with a first class honours in Bachelor of Business Management (Human Resource) special Degree. She obtained her MBA from Postgraduate Institute of Management (PIM), University of Sri Jayewardenepura, Sri Lanka. Further, she has partially completed CIMA offered by Charted Institute of Management (CIMA), United Kingdom. After her first degree she joined the Department of Human Resource Management in year 2011. As a staff member, Ms. Nishanthi has held many academic positons in the university. She served as the Coordinator of Higher Diploma in HRM in year 2017 and currently serves as a member of the editorial committee of the Kelaniya Journal of Human Resource Management. She renders her service not only to the department academic programmes but also to the programmes like Master of Human Resource Management and Master of Business administration in teaching and research supervision. 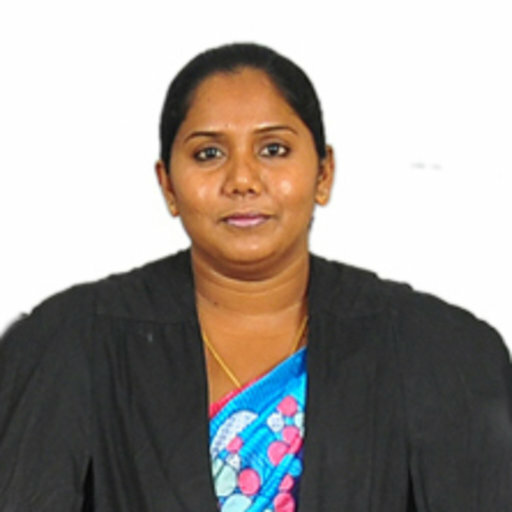 She has served as an organising committee member of the International conference in Business and Information (ICBI), and as Co-chair of National Summit on People Management (NSPM), University of Kelaniya. Ms. Nishanthiâ€™s specialized areas in teaching include Business Communication, Strategic Human Resource Management, Leadership Theory and Practices, Career Development and Business Economics. Ms. Nishanthi has published many research articles in indexed journals including a Scopus indexed journal â€˜South Asian Journal of Human Resource Management by Sage publications. Her specialized areas in research include Human Resource Management, Leadership and Entrepreneurship, Career Development. â€¢ Coordinator- Higher Diploma in Human Resource Management of the Department of Human Resource Management, Faculty of Commerce and Management Studies (FCMS), August 2017 to August 2018.
â€¢ Editorial Board member of the Kelaniya Journal of HRM published by the Department from 2016 to date. Arjun De Silva is a Senior Lecturer, Consultant, and a Researcher attached to the Department of Human Resource Management of the Faculty of Commerce and Management Studies, University of Kelaniya. He serves as the Overall Consultant of the University of Kelaniya Web Revamping Activities (2017-2020), Deputy Webmaster of the University of Kelaniya (2017-2020), Research Intelligence Committee member (2018 - 2021) and Department Webmaster (2016 - 2019). He is working as a resource person/consultant in the AAT business School, ICASL, and some ministries of the island. His major specialization is Digital Strategy formation and implementation in corporate and non-corporate sectors. As an experienced lecturer and psychology counsellor, I prefer to provide my immense contribution for the success of the university and also for the national development. Coordinator of the Practical Training Programme of the third year and final year undergraduates of the Department of HRM for the academic year 2014/2015. Assistant to the Coordinator of the Practical Training Programme and Dissertation Programme of the final year undergraduates of the Department of HRM for the academic year 2012/2013. Member of the organizing committee of the International Conference on Business and Information (ICBI) â€“ 2013, 2014, 2015 and 2017 organized by the Faculty of Commerce and Management Studies, University of Kelaniya.